Get a free tire quote! The team at Tallman’s Tire & Auto Repair has four full-service locations in Utica, Rome, Yorkville, and Herkimer — plus one Express Lube facility in New Hartford — to serve communities throughout the central New York State area. We’ve been providing top quality service for over 35 years. We’re a family owned and operated business using the latest technologies and service techniques. Our customers enjoy a wide range of auto repair and maintenance services, as well as top-notch tire services. 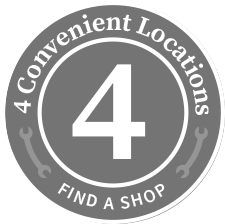 Make us your go-to facility for all your auto repair and tire service needs. You will find a premium selection of tires for every road condition and terrain. 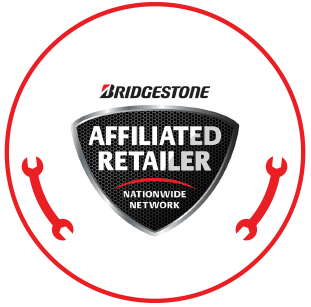 Our ASE Certified technicians develop long-term relationships with customers. We consider this is a partnership between You and our expert technicians. Together, we’ll keep your engine running smoothly, and keep you riding on the industry’s best quality tires. You spend a large portion of your day behind the wheel of your car. Our focus is making sure that time is as safe and comfortable as possible. Improve engine performance and increase longevity with our exceptional service plans. We consider your vehicle’s age, your driving habits, and the manufacturer’s recommendations. We’re known as this area’s top-of-the-line tire shop! Our customers come back to us because we have a better selection of tires and the best service. We go above and beyond to earn your trust. That’s the most important part of our lasting relationship. When you find a one-stop tire shop like Tallman’s Tire & Auto Repair, you stop worrying about where to bring your vehicle’s tire service needs or malfunctions. Get your car, truck, or SUV ready for that road trip or that trip to the mountains by fitting it with a proper set of premium tires. Too many vehicle owners are driving around with poor quality tires; either the tread has worn too low or the tires are not suitable for the season, road conditions, or terrain. Without the appropriate tires, you and your fellow passengers are susceptible to accidents and breakdowns. Prepare your vehicle for the change in seasons. Heavy snow, rain, and inclement weather prevent the wrong tires from gripping the road. Premium quality tires are not just about safety, but they’re also about comfort. Excellent trustworthy mechanics. I'm from out of town and needed their services today checking out a vehicle I wanted to purchase. They went above and beyond and thoroughly checked it for me, charged a price so low that I offered more money and they refused to accept it. They gave me a list of everything the van needed and were good honest friendly people. Great experience and I wanted to recommend them because it's often hard to find a garage you can trust. The Best Tire Shop--Auto Repair Expertise! Road travel should not compromise your vehicle’s durability and the engine’s reliability. The first line of defense between your vehicle’s body and the road is the tires. Drivers who feel every bump or pebble in the road are probably riding on top of the worst brand and model of tire for their vehicle. We’re your one-stop shop because we’ll handle any service need that you may have, from routine maintenance and tire services to complex repairs and tire sales. Tires are the most important safety feature of your vehicle. Without them, you won’t be going very far. And with the wrong set of tires, you won’t be going safely. Our ASE Certified technicians want all of our tire customers to know that we’re also here to solve any performance issues under the hood. 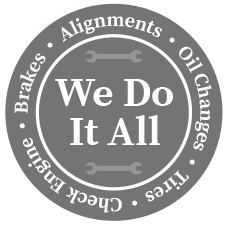 Brake repairs, check engine lights, wheel alignments, oil changes, and much more are serviced by our qualified techs. Give us a call at one of our five state-of-the-art facilities--in Utica (315-790-6725), New Hartford (315-860-1550), Rome (315-557-6624), Yorkville (315-860-0313), or Herkimer, NY (315-895-1088).